What Should You Know About Learning to Drive a Motorcycle? - Muscle Cars Zone! 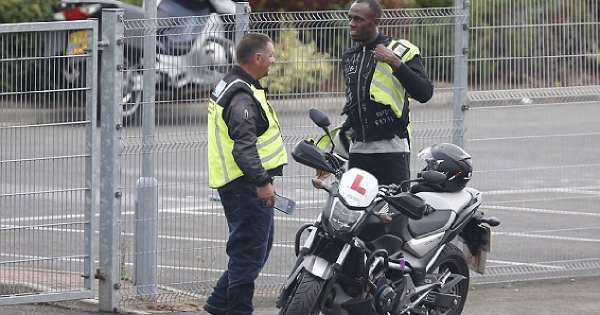 So you`re thinking about getting your motorcycle license. What are the next steps you should take? Learning to drive a motorcycle is a big undertaking. It`s one that can be very exciting, but it can also be somewhat stressful, particularly if you don`t have any previous experience. Riding comes a feeling of freedom that most seasoned drivers say is like nothing else, but it also comes with major risks. One of the most important things you can do to reduce the risks associated with learning to drive a motorcycle is to be prepared. Learn as much as you can, take your time, take a class and choose the right bike for your skill level and needs. Here are some things to bear in mind if you`re deciding whether or not a motorcycle is right for you. How Do You Get Over the Anxiety? First and foremost, if you don`t have a lot of experience with motorcycles, you may have a sense of anxiety and nervousness about learning, even if it`s something you find compelling. Sometimes you`ll hear people say that if you`re nervous or scared, then you shouldn`t ride a motorcycle, but that`s not necessarily true. Learning is empowering,and the process of finding out more about how to drive a motorcycle will take away a lot of your anxiety. Before you ever get on a bike, spendtime educating yourself on the basics and what to expect. The core concepts of operating a motorcycle can be divided into a few larger categories. There are the balancing and maneuvering elements, operating the controls of the bikes and then learning to drive in traffic. If you`re particularly anxious about learning, think about breaking it down into these sections and mastering small steps at a time. Motorcycle safety courses are an invaluable part of learning how to drive a motorcycle. They can help you more easily pass your license test, and they can earn you a discount on your motorcycle insurance, but more than that they can save your life. 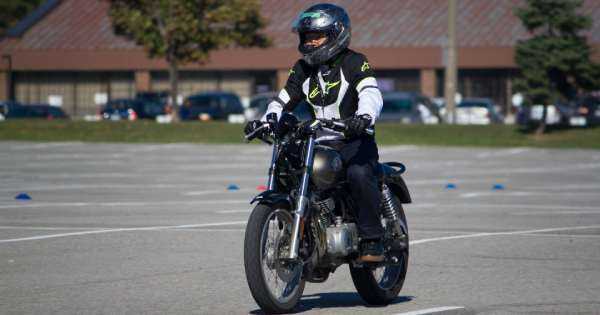 Most motorcycle courses will include classroom instruction as well as driving time. Some states even require you to complete one of these courses before you can get your motorcycle license. Most courses last a few days, although some might be compressed into one day. Generally, you can complete a motorcycle safety courses in a weekend with total hours from 15 to 20. The first part of any motorcycle course is usually going to be classroom instruction, where you`ll learn about motorcycles and their controls. Many courses recommend that you go over the handbook ahead-of-time,so you do have some general knowledge going into the class. Along with classroom instruction, a motorcycle class will also include hands-on training where you`ll maneuver through different situations. The maneuvers are specifically focused on what is most likely to be covered in your licensing test with the DMV. Typically when it comes to the hands-on training in a course, there is a bike there that you can use, but you may also be able to bring your own. If the bike that they provide doesn`t feel right for you, ask them and they should be able to switch it for you or help you figure out a solution (for example, if the bike feels too heavy). One of the primary things you`re likely to hear from any experienced motorcycle driver or learn in any class geared toward motorcycles is that you go where you look. The sooner you can grasp this concept, the better off you are. You have to adjust to the fact that wherever you`re looking and where you`re angling is where your bike will go. Along with that comes the concept of keeping your eyes level to the horizon. Anytime you`re learning to drive a motorcycle,and you start to feel unstable, you can often combat that and steady yourself by going back toward the horizon with your gaze. Finally, while going to a motorcycle training class is extremely important and is something you should do even if it`s not required in your state, it`s really only the beginning of learning to be a safe, skilled motorcycle operator. You need to give yourself time to get comfortable and learn how to drive in different situations. Don`t think that just because you went to a course, you`re ready to take on anything on your bike because that can create a recipe for disaster.